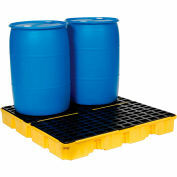 Features high-density polyethylene construction for excellent chemical resistance. Grating is easily removed and has 1-3/4" square openings for effortless cleaning. 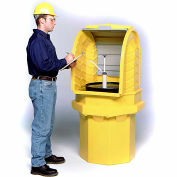 Meets EPA requirements for secondary spill containment of hazardous materials. 40 CFR 264.175. Low profile for easy access. 6 Drum Platform has 66 gallon spill capacity. 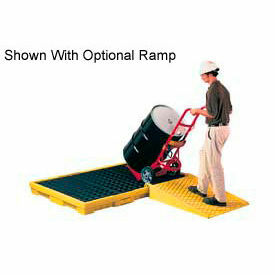 Compatible with our optional Spill Containment Ramp.